The report provides more evidence that Walmart's efforts to expand online grocery services, including curbside pickup and home delivery, are widening the gap between itself and traditional rivals while at the same time holding its own against online leader Amazon. 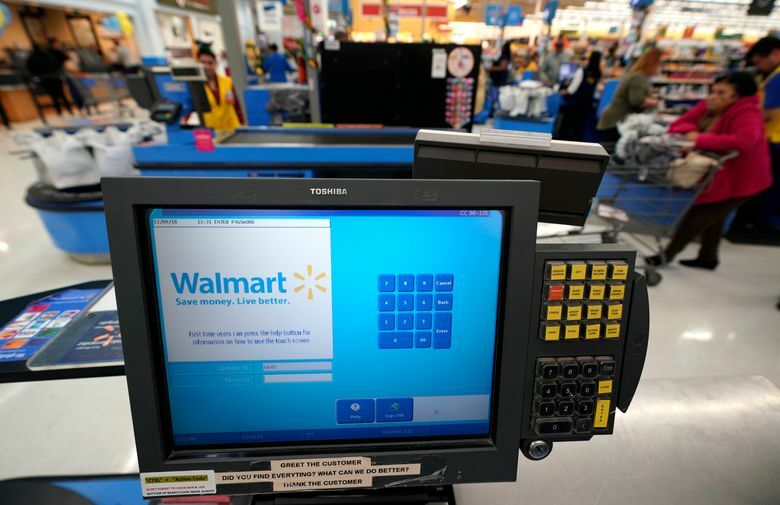 NEW YORK (AP) — Walmart defied a gloomy government retail sales report for December, delivering fiscal fourth-quarter profits and sales that beat Wall Street expectations. The world’s largest retailer also enjoyed another quarter of surging e-commerce sales during the critical holiday period as it expanded its online assortment and services. Shares moved higher in afternoon trading Tuesday. The report provides more evidence that Walmart’s efforts to expand online grocery services, including curbside pickup and home delivery, are widening the gap between itself and traditional rivals while at the same time holding its own against online leader Amazon. The strong performance from the world’s largest retailer is especially encouraging after a very weak December retail sales report last week from the U.S. Commerce Department led many to fear that consumers had gone into hiding. Some analysts even questioned the reliability of the government report. The data, delayed by a government shutdown, hinted that a volatile stock market, a government impasse, and a trade war with China had taken their toll on the American psyche. That, at least in Walmart’s case, appears to be untrue. 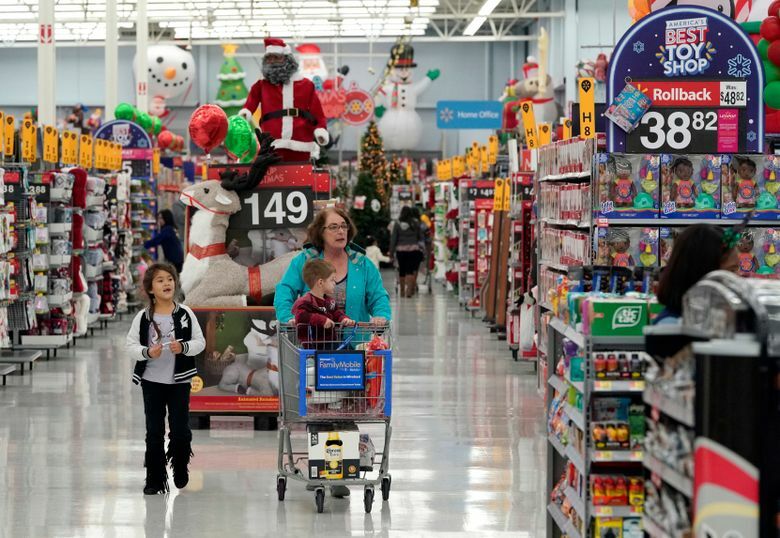 Walmart executives said Tuesday that its customers are benefiting from a stronger economy. The company also said that its sales got a lift from the government issuing February checks to Supplementary Nutrition Assistance Program recipients early in the wake of the government impasse. Walmart and other retailers are also benefiting from the woes of others. Toys R Us and Bon-Ton Stores have gone out of business, and the list of casualties keeps getting longer. This week, Payless ShoeSource began liquidation sales at roughly 2,500 stores in North America. Sears is shrinking and J.C. Penney is floundering. A diverse roster of retailers including Macy’s, Target and Home Depot are slated to report fiscal fourth-quarter results in the next few weeks. Target had reported strong holiday sales in January while several other department stores including Macy’s offered disappointing results. 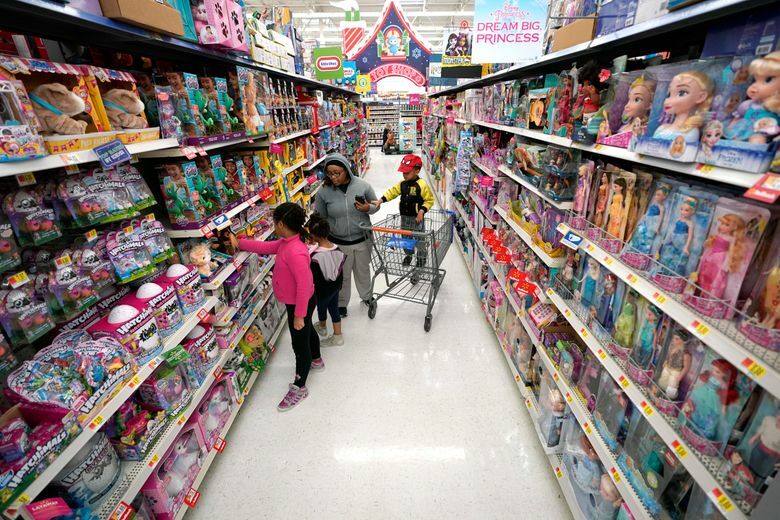 Walmart posted strong sales across a wide range of products from toys to groceries and electronics. That helped sales at stores open at least a year rise 4.2 percent at its U.S. namesake stores, following a 3.4 percent pace in the fiscal third quarter. The figure excludes sales from fuel. Since buying Jet.com more than two years ago, Walmart has been expanding online by acquiring brands and adding thousands of items. Walmart now offers grocery delivery service at 800 stores and grocery pickup at 2,100 stores. Walmart has revamped its website with a focus on fashion and home furnishings. That all helped to drive a 43 percent increase in e-commerce sales in the quarter, matching the pace from the previous period. Walmart’s online U.S. sales are still a fraction of Amazon’s online global merchandise empire, which reached $122.98 billion last year. Walmart’s U.S. online sales for the first nine months of its latest fiscal year reached $10.2 billion. The discounter hasn’t yet disclosed the year-end figures. But it has rapidly expanded its services online fast. The company’s Sam’s Club division had a 3.3 percent increase in revenue at stores opened at least a year during the fiscal fourth quarter. Shares of Walmart Inc. rose more than 3 percent, to $103.14 in afternoon trading.